The adrenaline kicks-in in this series taking you on a thrilling ride filled with speed and action. 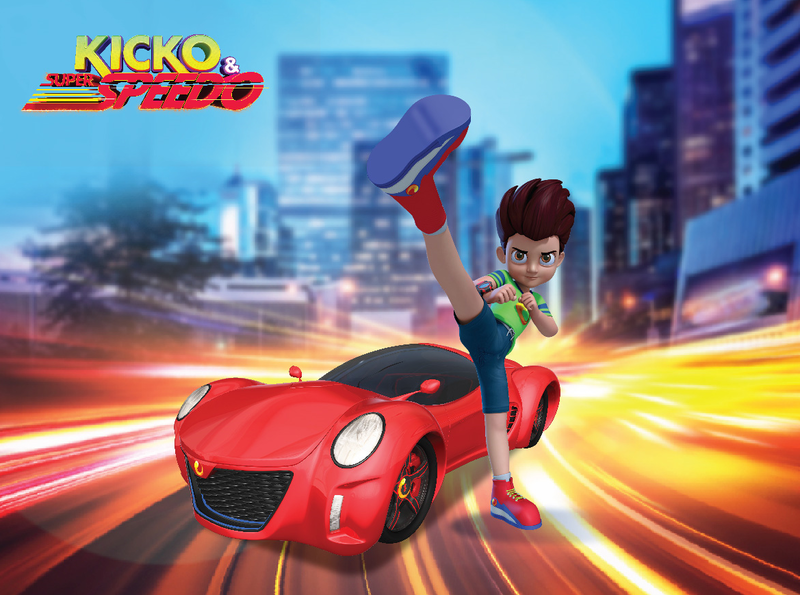 Kicko and Super Speedo is a show that portrays the bond between Kicko and his car Super Speedo, that appears from his TECH watch R7. Kicko is a humble, polite & gentle 7-year-old kid who loves to help his friends and save innocent people from the bad guys. While he’s very strong & agile, he prefers not to fight, unless it's unavoidable. Super Speedo is a super car made entirely out of laser lights. It is an intelligent car that can change its shape, size and transform into other vehicles such as a jet boat, a jet plane or a submarine. The super features of the super car include airplane yokes instead of a steering wheel, wheels with multiple rockets that make the car go faster and an array of weapons to take down the villains. The show imbibes good values in kids as the protagonist Kicko fights only when necessary and prefers his tricks over kicks.